Home » The Market Report: What happens when the Fed ends Quantitative Easing? The Market Report: What happens when the Fed ends Quantitative Easing? Last week we tackled the basics of Quantitative Easing: What is QE, what effect is it having on the economy, and is it inflating the stock market? This week, Vince Miller and Phillip Patrick take you further into the Federal Reserve’s controversial program and help you understand how it impacts you. How have low interest rates affected what you pay at the pump and grocery store? How might that influence the price of gold? And the biggest question of all: What happens when the Fed tries to fully cease its money-printing program? Get the answers to these important questions here. Mark Alyn: This is the Market Report from the Birch Gold Group. Hi, I’m Mark Alyn we’re joined as we are each and every episode by Vince Miller from the Birch Gold Group. And Phillip Patrick from the Birch Gold Group joins us as well. Mark Alyn: Gentlemen, welcome to the Market Report. Mark Alyn: Last week on our last episode we talked about Quantitative Easing and we said we’d pick up on this episode. So let’s do a short recap, what is Quantitative Easing? Vince Miller: Well essentially Mark Quantitative Easing is the government’s idea to buy up unwanted debt and to stimulate the economy by doing so. That’s essentially what it is. Mark Alyn: And is it designed to work? Is it in theory a workable plan? Vince Miller: Well in theory it’s a good idea. It makes sense. Does it ultimately fix the problem? That’s been the debate. We’re in our third round of Quantitative Easing. After the credit crisis hit in 2007 and 2008 when the markets crashed, in order to avoid a full blown, what some would call, hyperinflation. Or what some would call, a great depression, the Federal Reserve basically stepped in and started buying up the debt that nobody would want off the balance sheet to stimulate the economy. Vince Miller: The idea was to keep interest rates lower than they could ever be to spur spending and to make institutions able to loan money very cheap. Mark Alyn: Alright, we have a stock market that’s moving in the right direction, moving up. But is the economy robust? Phillip Patrick: You know, many people would argue no. We have a stock market right now, as Mr. Miller said, that’s close to all-time highs yet the fundamentals for the United States economy, GDP, national debt, employment figures are really nowhere near where they should be to reflect what we’re seeing in the markets. So, as Mr. Miller said a lot of top analysts out there are saying look, the Federal Reserve through Fiscal Policy are essentially creating a bubble. As we talked about last week, we all know what happens ultimately to bubbles. Vince Miller: It’s like when we were kids. Blowing bubbles… They always burst. Mark Alyn: What happens when that bubble that we’re in now, bursts? Vince Miller: Well you know, economist Michael Pento made a comment. He said that the Federal Reserve moves to eliminate its monthly assets purchasing program. So essentially the Fed is moving to pull back on QE3 right now. What this could cause according to Michael Pento is an ultimate collapse in asset prices and a severe recession. Vince Miller: So as we’re pulling back. Essentially when big brother stops paying, or when the Federal Reserve stops paying the debt stops loaning, the money then pulls back on buying what nobody else wants. That’s a problem. Mark Alyn: And that’s when the bubble is going to burst. Alright, let’s talk about inflation, interest rates first. Interest rates right now have been kept low. Would you say they’re being kept artificially low? Vince Miller: Well Mark what most people don’t really understand is that keeping interest rates low is what it really means in terms of the big picture. Would you like me to explain? Vince Miller: Okay, well the Federal Reserve at any given time has somewhere between $50 and $60 billion in liquid capital. Essentially every bank in America has to keep a certain amount of money on deposit with the Federal Reserve. Now the Fed is really the bank’s bank. And at any given time there’s about $1.6 trillion on deposit from these different banks. Now essentially, the Fed actually pays interest to all these banks for their deposits. Now the reason for the big concern about raising interest rates, Mark, really is more about what that ultimately can do. It’s not just that things are going to get more expensive. Right now we have a problem with our banks, where interest rates are lower than they’ve ever been but banks are so tight fisted with loaning money that they don’t want to let it go anyway. So people that are trying to borrow are having a difficult time. So in terms of what that means to you and me, that’s the problem. But in terms of a bigger scale here, if the Fed was to let’s just say, raise interest rates, even by 1%, that would mean that the Federal Reserve would have to pay an additional $16 billion in annual interest to these other banks that have money on deposit with them. Okay? So what this means in English is that if you do the math, essentially, theoretically, the Fed could be broke in three and a half years. So they don’t want to raise interest rates for many, many reasons, and this is just one of them. Essentially in my opinion, Mark, I think that the Federal Reserve has backed itself into the proverbial corner. If you can understand this concept, you can see why low interest rates ultimately could mean appreciation and commodity prices, particularly gold and silver to if not go up, at least to sustain their value as the dollar depreciates. Mark Alyn: So as that happens, and gold either stays at the same level, but the buying power of that gold will remain the same or increase. Vince Miller: Exactly. So cheaper gold today, even though we’re at three year lows right now. In my opinion I think even though the gold is priced at three year lows it’s more valuable in today’s economy than it was three years ago because things are so much more expensive. We have gas, gas is at a 13 month high. You have groceries that are up over 10% so far in 2014. These are just a few of the problems. Unemployment. People have almost given up on the job market. Unemployed people have just stopped applying for jobs because they’re so discouraged. It’s bad out there. Phillip Patrick: Absolutely, I would agree with all of that. There’s two aspects to this issue. Shorter term, this policy is stimulating the economy and as we’ve said creating a bubble. Longer term, of course, that bubble could burst. What it also does ultimately longer term is create inflation. Allan Meltzer a Fed Scholar at Carnegie Mellon stated very clearly that never in history has a country that financed big budget deficits, with large amounts of central bank money, avoided inflation. Yet the U.S. has been printing money and in a reckless fashion for years. Mark Alyn: And what happens when the Fed stops printing money? Phillip Patrick: Well that’s really, and we sort of spoke about this a little bit last week. That’s when we start to see really the realities of the situation. Once you remove stimulus from the economy you’re left with the bare bones. Unfortunately as we mentioned earlier the fundamentals for the U.S. economy today are not as strong as the growth that we’re seeing in the market. Mark Alyn: So to protect the value of my money I should be converting, at least a portion of my money, into precious metals? Vince Miller: Well this is what we’re seeing. I mean what we’re seeing is the most prudent money. We’re seeing institutional dollars, we’re seeing as we spoke a couple of weeks ago, China selling off global currency, particularly US dollars and converting it into physical tangible assets with the intention to increase by 20% over the next couple of years. Surpassing India in their gold, as the number one gold buyer in the world. So you see the move away from dollars into physical tangible assets. I always hear from clients, the rich get richer. And I hear people say that to me all the time. Well, this is the opportunity, right now the metal is at a three year low. But as we said before the difference between the economy today, as opposed to three years ago. Is, three years ago, there was less debt, there was less inflation, there was a different rate of unemployment. All these things are different. So today, three years later when you have gold at a three and a half, or three year low, it’s a better time in my opinion to buy physical metals. Particularly gold and silver than it’s been probably not just in three years but probably over the last 5-6 years. Mark Alyn: With interest rates low. Inflation is still climbing and that means that the value for the dollar, the bang for the buck. Is less. You go to the market you’re paying more for your staples. You’re paying more for what you need to buy to feed your family. That’s just one area where inflation is creeping in. Phillip Patrick: Absolutely, and I will add to that and say official government inflation calculations since the 1980s actually don’t include food and energy into official inflation calculations. So all that money we’re spending in the supermarket. That isn’t reflected in official government figures on inflation. Mark Alyn: Or the gas pump. Mark Alyn: Turning part of my portfolio into precious metals. Do I do that to make money? To save money? Or to protect my money for the future? Vince Miller: That’s a great question Mark. In my opinion, I don’t think you buy gold to make money. I think you buy gold to protect and preserve buying power. I think it’s about preserving against currency devaluation, in this case the dollar. Vince Miller: So don’t buy gold to make money. It’s not about get rich quick. It’s specifically, you buy just to protect and preserve buying power. If you want to get rich quick I don’t have the answer to that. Call your stock broker, I’m sure he’s got an antidote to get rich quick. This is a defensive move, it’s not an offensive move. That is the reason why China is buying gold, that is the reason why central banks around the world are moving into gold. That’s the reason why institutions are buying, like the University of Texas bought a billion dollars of physical gold a couple of years back. It wasn’t to make money. It was just to protect and preserve the endowment fund. And of course, Mark, the question always asked then is: well does gold go down? Can I lose money in gold? Well of course, like any asset, the values go up and down and are traded against other equities and other asset classes. However the one thing about the metal is gold has never been to 0 and over the long term it protects against devaluation, particularly inflation. So in an inflationary environment, Mark, I would say the move into metal is the right move for the right type of investor. Mark Alyn: Is that right type of investor the small guy who may have a little bit of portfolio, little bit of money hanging around, a little bit of investment, maybe he’s got an IRA that he hasn’t converted. As well as somebody who’s either super rich, or China or India? Phillip Patrick: I would say absolutely Mark, we’ve spoken about central governments, we’ve spoken about large hedge funds purchasing sizeable positions in metals. Ultimately the rational is exactly the same. If you’re holding sizeable amounts of US currency, that currency is falling in value. Ultimately you need to find a way to protect against that. Whether you’re China or Joe Bloggs, the rationale is still the same. Mark Alyn: Well gentlemen, thank you very much. We’re out of time. We’ll see you again on our next episode. As you’re listening, if you have any questions about investing in gold, in silver, other precious metals email us at info@www.birchgold.com, that’s info@www.birchgold.com. Visit our website at www.birchgold.com. That’s www.birchgold.com. Or you can talk to one of our gold specialists at (800) 355-2116. Call (800) 355-2116. 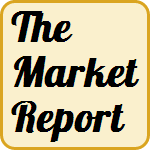 Mark Alyn: Vince, Phillip, thank you very much for joining us on this edition of the Market Report. Vince Miller: Thank you Mark. Phillip Patrick: Thank you Mark. Mark Alyn: I’m Mark Alyn we’ll see you on the next edition, bye bye for now.